Baloo the bear and Baheera the panther. Why Mowgli scared Shere Khan? Because he has the fire. Because he has a sword. Because he has a lot of friends. 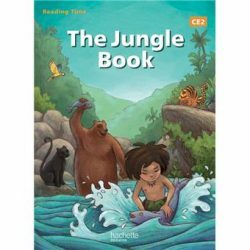 What the difference between the village and the jungle for Mowgli? He has a lot of friends. He finds his real parents. He needs to wear clothes. Mowgli, helped by the cows.